CES has become something of a strange time now – a show that once launched the CD, DVD and HD TV has now become a dumping ground for slightly-less-impressive products. It's still got a smorgasbord of tellies and laptops as before, but now it's a sea of iterative updates rather than the gangbusting days when plasma TV first appeared a decade and a half ago… and when it comes to phones, the story is almost non-existent. 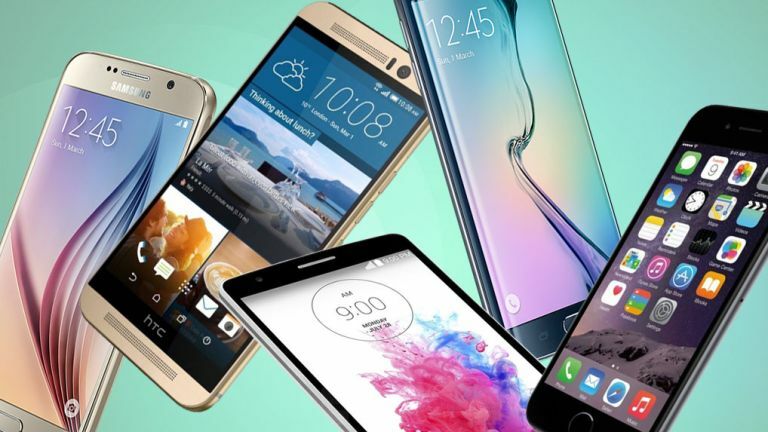 This piece was originally intended to be a round up of the best phones of CES 2016, but, well… there weren't any. The most notable was either the LG K10 or the Huawei Mate 8 – and that's a damning indictment of how little phone companies care about CES as a launch pad. That's not to say either of those aforementioned phones are terrible, but LG's K Series has a 720p screen on the top model and is squarely a budget phone and Huawei's Mate 8 is the international version of a phone launched at the tail end of 2015. If those were the top level phones, what lurks below that? In terms of offerings from the big brands, the next-most exciting thing is a new gold version of the Nexus 6P… hardly blowing the doors off the phone world. That said, there were some interesting developments that you might have missed, simply because they appeared from some of the lesser-known brands. The first comes from Yezz Mobile, a smaller Chinese phone manufacturer that's slowly inching its way through the Western world (with curiously-named phones like Andy and Billy). The Yezz Sfera allows you to take 360 degree photos which can then be viewed using VR, with something like Google Cardboard the obvious choice here. The phone isn't as cheap as some of the sub-£100 offerings it's created, instead coming in at $299.99 (around £200). It's packing two fish-eye lenses (no word on the resolution) to record the outside world before stitching it all together, and comes with Android 6.0 when it arrives in April. Or perhaps you're hankering for a phone that's got an optical zoom on board? We haven't seen that since the Samsung Galaxy K Zoom appeared in mid-2014, and even then it was just a weird fusion between phone and camera. The Asus Zenfone Zoom has a 13MP camera but also hides away a 3x optical zoom, allowing you to take sharper pictures from further away, which is the dream of all us lazy phone-lovers the world over. It's coming in at $399 (around £275) and again there's no word on when it's appearing in anywhere that's not the US, but with a 5.5-inch 1080p, quad-core Intel processor and a whopping 3000mAh battery to let you shoot for a little bit longer than on the average phone. At least with tablets there were a couple of more interesting things to write about, with a decent 2-in-1 hybrid from Samsung while Huawei unleashed an Android tablet that fitted in between the iPad Air 2 and Samsung Galaxy Tab S2. Samsung's Tab Pro S was a nifty tablet that came with a keyboard below a hi-res 12-inch screen and Windows 10. The keyboard (which is a little flimsy and hard to type on compared to a 'proper' laptop) snaps in magnetically using Pogo pins, and there's a large battery, 4GB of RAM and up to 256GB of SSD storage. It's not the big, iPad-rivalling tablet we're expecting to see from Samsung as once again the firm gave the conference a wide berth in terms of releasing its flagship mobile products. Huawei's MediaPad M2 is a lower-spec device, coming with a 10.1-inch Full HD display and up to 3GB of RAM. It's got a pen that goes alongside, with 2048 levels of pressure sensitivity to allow more precision when sketching out rudeness or writing a shopping list. The most impressive thing about this one is the sound quality – not wanting Apple to have all the audio fun with a tablet, Huawei partnered with Harmon Kardon to give a real audio boost to your low-res streams so you can ditch the headphones. The most expensive 3GB+64GB LTE with M-Pen version comes in at $469 (around £320) meaning it's one of the cheaper tablets on the market, giving it a key weapon in the battle of the Android slates. Given CES is one of (if not the) biggest electronics shows on the planet, it's odd that we're seeing fewer and fewer top phones and tablets being launched there every year – here's hoping that MWC steps up to deliver us everything from the best Galaxy Samsung's ever produced to the world's first smartphone that's capable of lasting a whole week without needing a charge.